Designing a kitchen. Planning a bathroom. Remodeling your home. 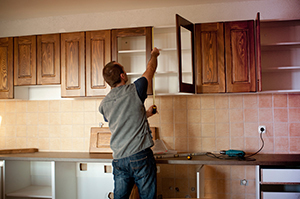 Whatever your home improvement plans, it’s likely that they include adding new cabinets, furniture, closets or other storage. And when you consider your choices, it makes sense to choose the very best materials that will give you quality and peace of mind—while adding lasting value to your home as well. PureBond® hardwood plywood from Columbia Forest Products gives you all of that. PureBond panels made from the best quality hardwood plywood are used in making cabinetry, closet systems, fine furniture, architectural millwork, and more. The timeless warmth of wood with the design versatility to convey traditional, classic or contemporary looks. A product that will deliver decades of performance, durability and great style. Formaldehyde free, soy-based PureBond plywood assembly technology with over 100 million panels sold since 2006. Produced right here in the US and Canada, PureBond is cost competitive, yet delivers so much more in quality. Network, a partnership of qualified craftsmen, wood shops and manufacturers. Insist on PureBond quality in your home. PureBond hardwood plywood is manufactured exclusively by Columbia Forest Products, America’s leading manufacturer of a decorative, interior hardwood plywood. With a half-century of experience plus a strong commitment to product excellence and environmental stewardship, you can count on Columbia PureBond to provide the quality panels you deserve—at a surprisingly affordable price. there’s really no limit to the design possibilities throughout your home. 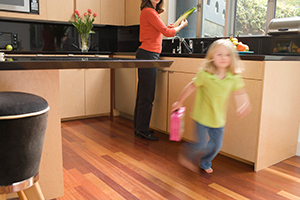 Looking for some samples and literature on our PureBond hardwood plywood products? Click here.